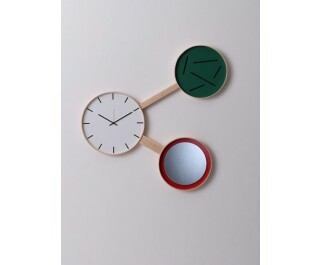 A clock, a mirror and an object holder all in one with this original and elegant piece of wall-mounted furniture. The shape, inspired by a molecular model, harmoniously integrates the three accessories, creating an extremely functional and refined combination piece. Available in two sizes.